Just a little while ago, we shared the news that more than 100 severed limbs had been ordered for the production of the third season of Starz’ Spartacus. 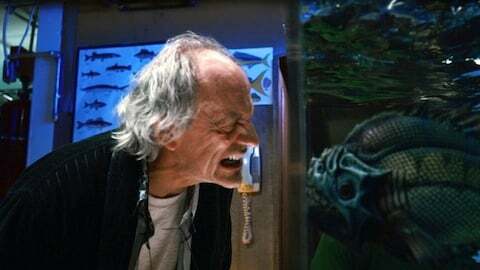 As though torn appendages were a theme today, we now have some photos from the upcoming Piranha follow-up, Piranha 3DD. Consider yourselves gore-warned! 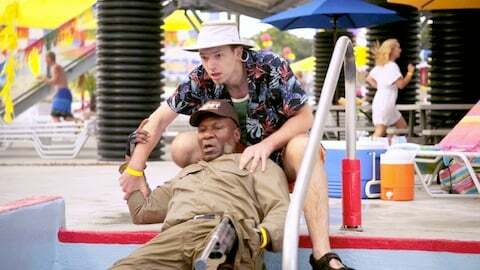 All things considered, most of these photos are pretty tame, considering the gore that’s likely to be in store for the sequel, especially if Piranha 3DD has designs on topping it’s exceptionally bloody predecessor. There’s one in particular that’s bathed in blood, and we also get a glimpse of one partially eaten leg. Check it out below (and click to see the bigger version... if you can stomach it). This one gives us a wider shot of the water park carnage. 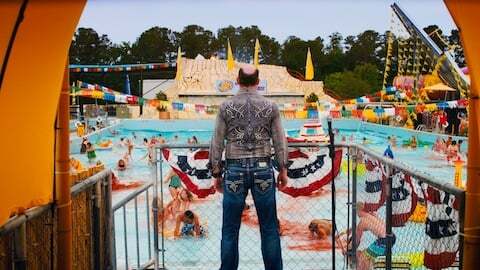 I suppose one of the “benefits” to a movie scenario that has piranhas at a water park is the relatively easy visibility of what will likely be a buffet for the man-eating prehistoric fish. No more dark lake to conceal the feast this time around...? 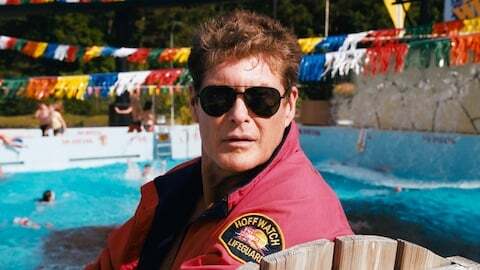 Finally, these photos give us a look at some of the stars, which include David Hasselhoff, and returners Christopher Lloyd, Ving Rhames and Paul Scheer. Ving Rhames has his shot-gun legs on! Deputy Fallon and Scheer’s character Andrew Cunningham weren’t exactly pals in the first film (I’m not even sure they were ever on screen together), but it certainly looks like they have each other’s backs in the sequel. And it looks like Lloyd’s Mr. Goodman is still as interested as ever in those fish. Piranha 3DD arrives in theaters June 1. More information on the film can be found in our Blend Film Database. The Back To The Future Cast Reunited And Great Scott!